Over the past month, numerous magazines and newspapers have published articles about a Louisiana State University researcher finding a cure for chronic wasting disease (CWD). But the vast majority of state and national wildlife agencies discount these finds, and the claims of a cure actually aren’t even new. Dr. Frank Bastian, a disease researcher and clinical professor of neurosurgery and pathology at Louisiana State University, recently said he is within a year or two of a finding a cure for CWD, and those wildlife biologists and other scientists studying the disease are wrong about its cause. Bastian said the same things in 2017. In fact, as far back as 2002, he presented similar findings in an interview with outdoor writer Bryan Hendricks of North American Hunter magazine, so skepticism among Bastian’s peers is understandable. Bastian’s response is that no other researchers are trying to reproduce his results because all the research funding is being swayed by those who believe prions, rather than spiroplasma, is the root of CWD. According to most biologists, CWD is caused by mutated proteins called prions that affect brain tissue and other areas of a deer’s central nervous system. This is accepted by all state wildlife agencies and organizations like the Quality Deer Management Association. But Bastian disagrees, saying that prions aren’t the cause of CWD, but simply a product of bold bacteria called spiroplasma that he believes is the actual cause of the disease. Bastian said CWD can be produced without the presence of prions, but Brent Race, a scientist with the Laboratory of Persistent Viral Diseases at the National Institute of Allergy and Infectious Diseases, found the opposite while trying to reproduce Bastian’s findings. While failing to duplicate those findings, Race said he found that prion infection can occur even in the absence of spiroplasma. Chronic wasting disease is a transmittable disease that affects deer, elk, and other members of the cervid family. 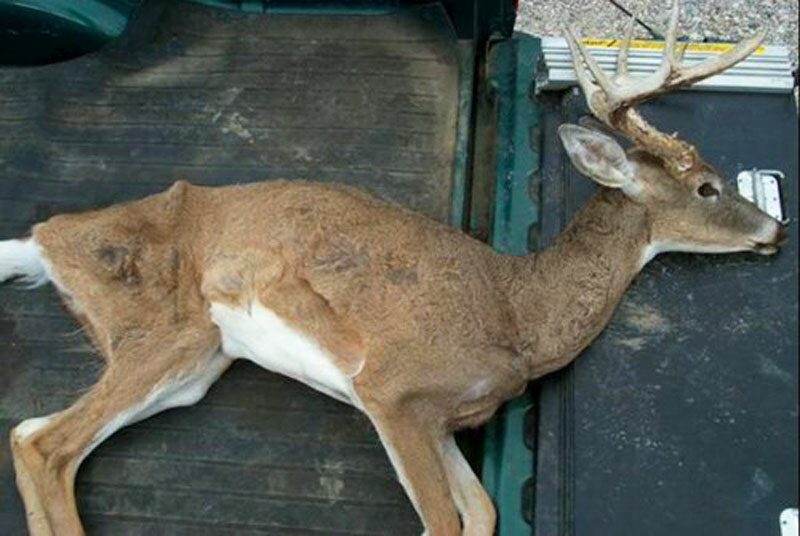 Deer pass the disease on through contact with other deer, or through contact with urine, saliva, infected carcasses and even infectious materials in soil, which can hold remnants of the disease for up to 20 years. The disease is 100-percent fatal. CWD is sometimes referred to as the “zombie deer disease” because infected deer often salivate heavily, look lost, are emaciated and confused. 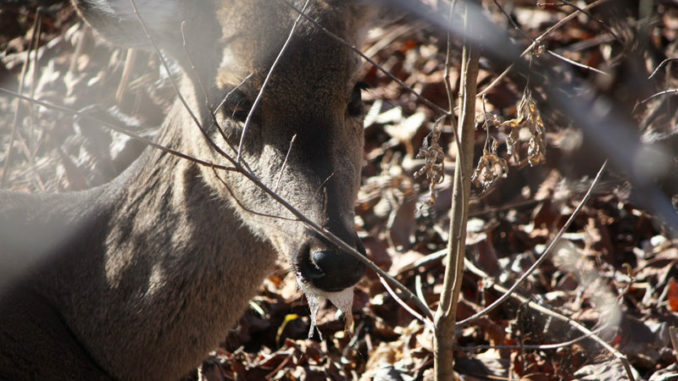 But the infection hasn’t led to aggressive biting or other behavior by deer, and so far, no humans have contracted the disease, but scientists worry that’s a possibility. “A group of individuals that are known to have eaten meat from a CWD-positive deer about 15 years ago are tested regularly, and so far, none has shown any sign of the disease,” said Cook, who pointed out that mad cow disease, basically a bovine version of CWD, was discovered about 10 years before humans were ever impacted by eating infected meat — leading to Creutzfeldt-Jakob Disease.